In Japanese animation, the bigger the eyes, the cuter the character. But in the hands of Dutch designer Rogier van Zijp, characters can be just as cute even if you don’t see their eyes at all. 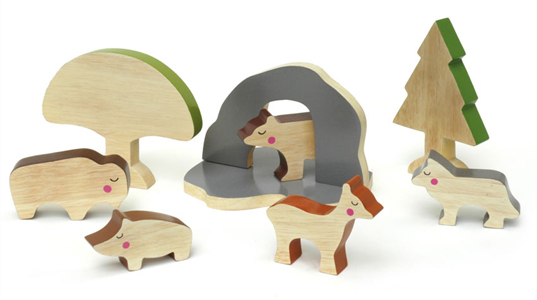 Cheekeyes, van Zijp’s latest creation, is a collection of handmade animal characters. With their closed eyes and blushing cheeks, each character seems to be experiencing a moment of deep, delightful thought. Whether those thoughts are blissful nirvana, (see Mr. Hippopotamus above) or a little bit cheeky, (see Ms. Triceratops below), Mr. van Zijp never lets on. 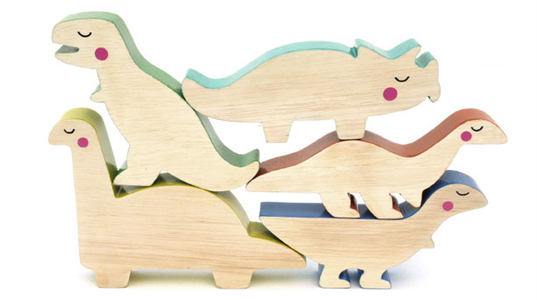 Cheekeyes toys provide a pleasing blank slate onto which children may project their imaginations. The collection is sprawling, with over twenty-five animals, eight trees and five mountains. The animals are ready to populate various dioramas including an archaic land of Dinos, the African Plains, the cold Arctic, a dense forest, or a country farm. “Handmade from natural wood, each and every item is unique, there are no two the same. As the Cheekeyes are made of the finest wood, the item is only partially painted. 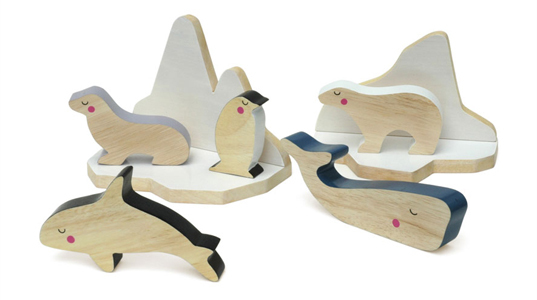 This gives you the best of both worlds: a natural, wooden product with fresh colors.” Yet despite their individuality, each and every Cheekeye creation has one thing in common: they are guaranteed to be as cute as can be. Cheekeyes collections start at $29.99 and are available at Oompa toys. These are totally adorable! 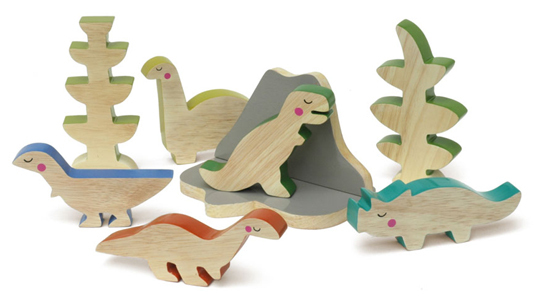 Great find - must get them for some little one. In Japanese animation, the bigger the eyes, the cuter the character. But in the hands of Dutch designer Rogier van Zijp, characters can be just as cute even if you don�t see their eyes at all. Cheekeyes, van Zijp�s latest creation, is a collection of handmade animal characters. With their closed eyes and blushing cheeks, each character seems to be experiencing a moment of deep, delightful thought. Whether those thoughts are blissful nirvana, (see Mr. Hippopotamus above) or a little bit cheeky, (see Ms. Triceratops below), Mr. van Zijp never lets on.